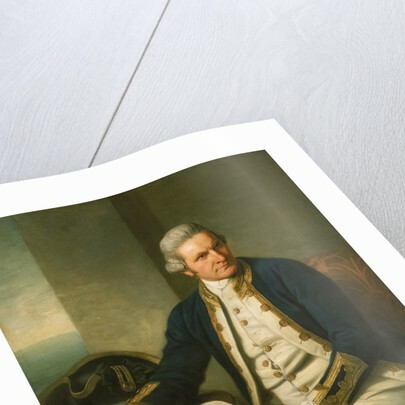 A three-quarter-length portrait of Captain Cook, seated to the left, facing the right. 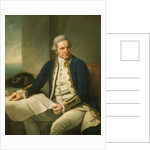 He is wearing captain's full-dress uniform, 1774-1787, consisting of a navy blue jacket, white waistcoat with gold braid and gold buttons and white breeches. He wears a grey wig or his own hair powdered. 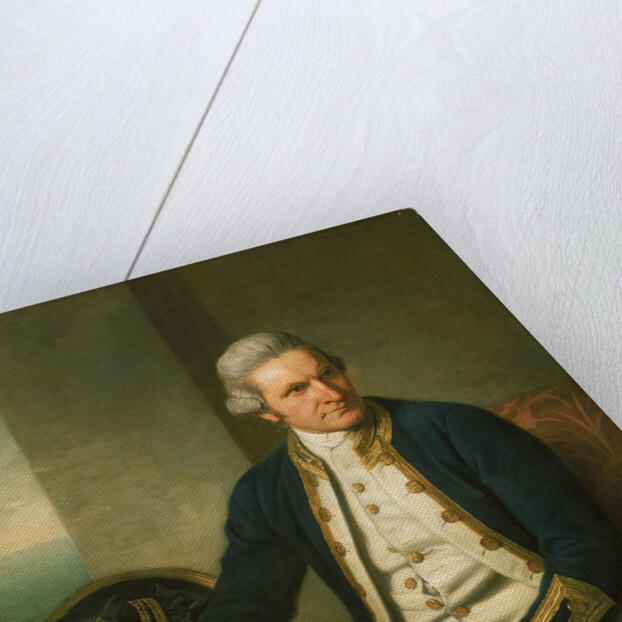 He holds his own chart of the Southern Ocean on the table and his right hand points to the east coast of Australia on it. 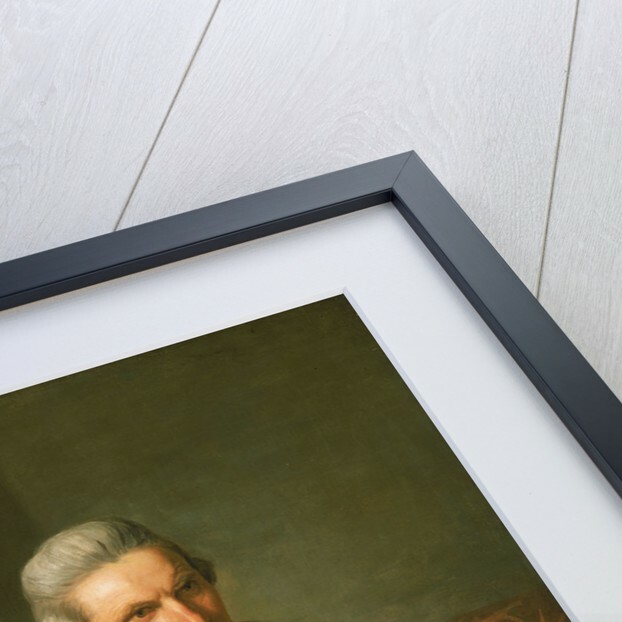 His left thumb and finger lightly hold the other edge of the chart over his knee. His hat sits on the table behind him to the left on top of a substantial book, perhaps his journal, itself resting on the chart. More by the artist Nathaniel Dance. 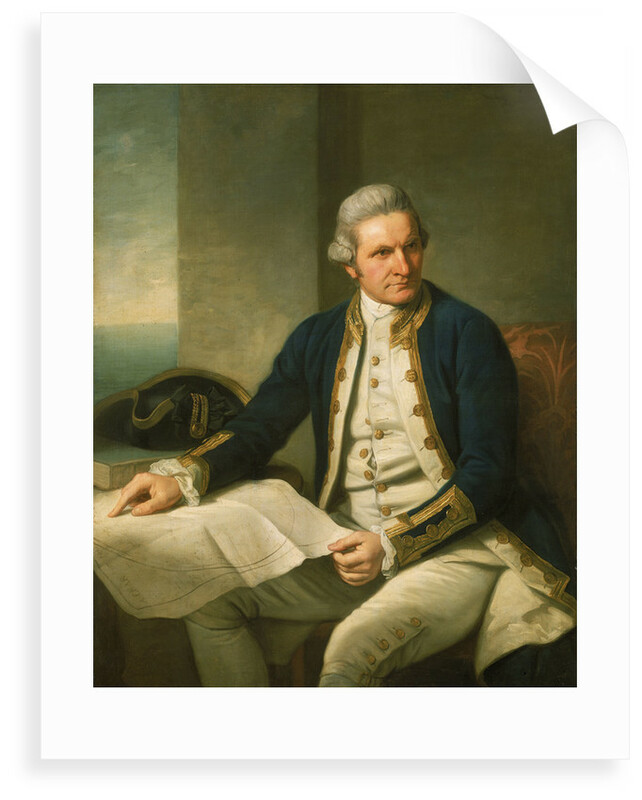 Explore the collections Captain James Cook, Fine art, Maps & charts, Pacific Encounters.